Candidates seeking admission for B.Tech programs in Computer Science & Engg., Electronics &Communication Engg., and Electrical & Electronics Engg. 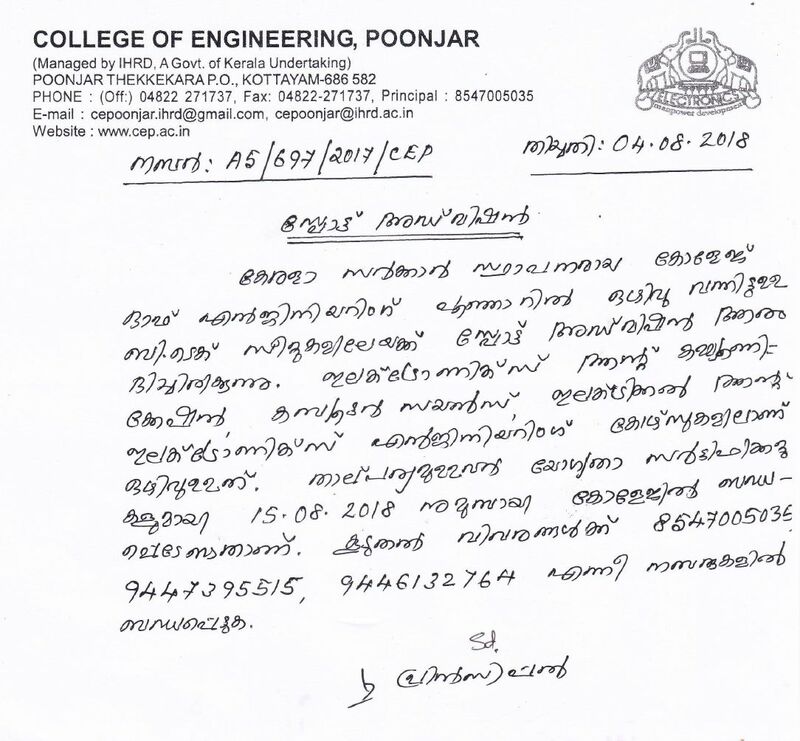 are requested to report at the College with Original certificates. For details contact at 94-47-395515 or 85-47-005035.